Provide comfort for the family of Lowell Keating with a meaningful gesture of sympathy. Keating, Lowell E. beloved husband for 62 years of the late Jeanette M. (Hamonds) Keating. Loving father of Glenn E. Keating, Larry (Jane Minges) Keating, Diane (Doug) Rogers, Brian (Kathy Nebray) Keating and Lisa (Tony) Rollison. Grandfather of Scott Rogers, Holly Rogers (Dan) Coyle, Brittany (Brian) Ramsey, Michelle (Marcus) Pierce, Haley (Zack) Codling and Anthony Rollison. Great-grandfather of Molly, Ava and Jake.Dear brother of Mary Zawaski, Michael Keating and Cindy (Fritz) Kahsar and the late Robert Keating, Dorothy "Dot" Morton and Thomas Keating. Preceded in death by his parents, George Keating and Helen (Pink) Keating. Also survived by numerous nieces and nephews. 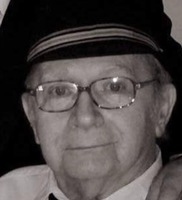 Lowell passed away on Friday, March 1, 2019 age of 87 years. Lowell served in the US Army during the Korean War. Visitation Thursday, March 7 from 11am until time of Funeral Mass at 12 Noon at St. Stephens Catholic Church, 3804 Eastern Ave. Cincinnati, Ohio 45226. Burial with military honors to follow at St. Joseph Old Cemetery. Memorials may be made to Tri-State Honor Flight, 8627 Calumet Way Cincinnati, Ohio 45249. We are so sorry for your loss. Our thoughts and prayers are with your family. We are here for you guys if you need anything! Love, The Phillips Family purchased flowers for the family of Lowell Keating.